Parents: To volunteer, specify your coaching preference during the registration process. Parent coaches are assigned to Grade 3rd/4th leagues. Only if needed, parents can be assigned to 5th/6th league. 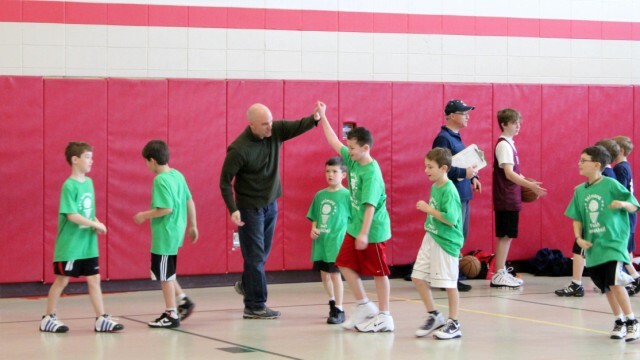 In-Town Program: Parents can volunteer as head or assistant coaches for our in-town program. To volunteer, you will have the opportunity to specify your coaching preference during the registration process. Please note that coaching spots usually fill-up early. Coaches will be notified in early November. Click here for an overivew of the duties and responsibilities for in-town coaches. Parents may also volunteer to contribute to the program as a League Coordinator. Coordinators are responsible for the formation of league teams as well as ensuring that weekly league games operate smoothly. Click here for an overview of the duties and responsibilities for coordinators. BYBA thanks all its volunteers for their continued support and generous contributions of their time, resulting in the overall success of our program!